Your Move estate agents Sidmouth is located at the top of the high street in the heart of Sidmouth town centre and is a family owned business, whose directors and employees have all lived in the Sidmouth area for over 25 years. Although privately owned, the company also benefits from being part of the Your Move network of connected branches across the UK. We pride ourselves on providing a professional, comprehensive and friendly service whether buying, selling, or letting. Weekly local newspaper advertising in the 'Sidmouth Herald'. Properties featured on 'Rightmove', Zoopla and many other leading websites. 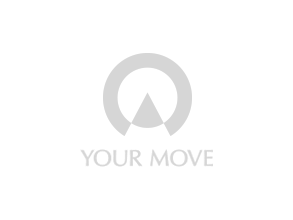 Properties featured on our own website 'your-move.co.uk'. Prominent High Street office with eye catching window display. Professionally presented sales particulars, including colour floor plans. Distinctive sales and lettings boards. We are passionate about our business, and have worked hard to exceed our client’s expectations. The whole team feel privileged to live and work in Sidmouth and the surrounding villages that feature such diverse properties. Located on part of the world famous 'Jurassic Coast', Sidmouth is a delightful, unspoilt, genteel resort town situated and along the lovely Sid Valley in East Devon. It has retained much of its Regency and Victorian charm and character and is well served by a range of amenities including both private and state schools, hospital, theatre, cinema, golf course, supermarkets and a town centre with a wealth of interesting, individual shops. Sidmouth is also well placed for transport links, lying within 15 miles of Exeter and the M5 and within just 10 miles of Exeter airport, Honiton and the A30 link road.